All things photography! Business ideas, photo ops, places for shoots, the new camera and gear I am getting soon! Meetup ideas for my photo group, and all that Jazz! A fresh business plan. Goals, ideals, new perspectives, more Goals and logistics of how to work it all out! How busy I will be within the next few months! While I wouldn't have it any other way, sometimes it gets overwhelming! LIFE. It throws so much at me, everyday! It is hard to NOT anticipate what waits around the corner, and what is lurking in the shadows. Good or bad! The She and Him Pandora channel. I totally "stole" this idea from The Paper Mama! I love She and Him, but had never thought of looking up their channel until today! It's a good one...for sure! Nothing at this exact moment in time...But my new favorite obsession is chicken sausage! I like to cook it up, and throw it into the mix with any meal! Yummm! 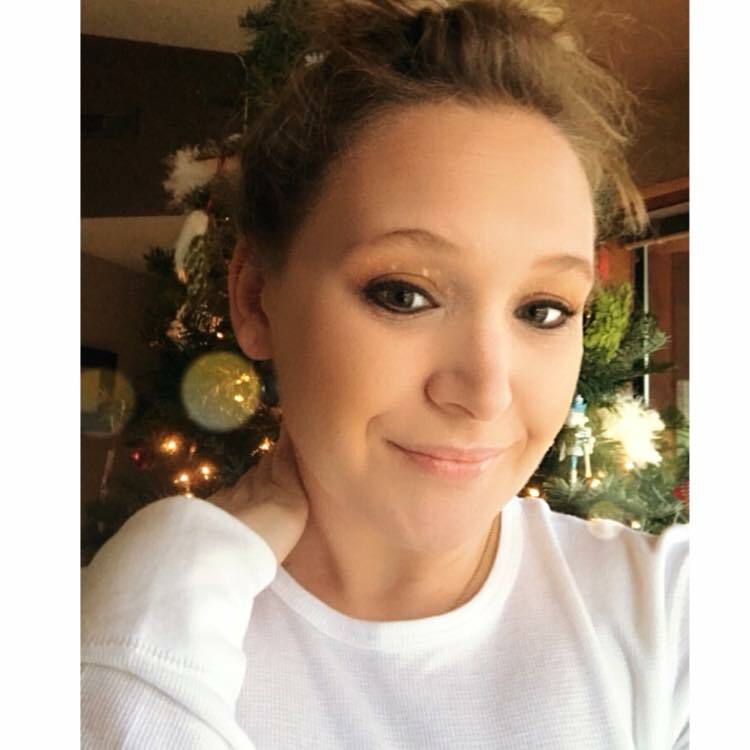 Well, there is a lot I am wishing for this year:: a successful business, success in getting my name and art work out into the world, and having a second kiddo sometime within the next year or two. Hopefully this has inspired YOU to write about YOU! Because more times than not, we tend to forget about ourselves. And if YOU are not important, than who is?! While most aspiring photographers look at other artists' work at find inspiration, I tend to look at it and think that I will never get there. I too, find inspiration in my favorite artists. However, I envy them more than I should. This is something that I feel I will always struggle with. And it is something that I am not proud of, and need to conquer. All I can hope is that this will happen sooner than later. I am sure that this stems from the fact that I have ALWAYS held exceptionally high standards for myself. And when I do not reach them, well...this happens! But then I think to myself: "Excuses, excuses"! I am not a quitter, and I do not give up easily! Therefore, I move forward! And I learn! Those who know me well, know the patience is NOT my greatest virtue! So I must remind myself DAILY, that this takes time. And that there a million other photographers and artists out there that have been around for a very long time. And that they have so much more experience and practice than I. But then I have to remind myself of my accomplishments within the last year:: Jumping head first into a very competitive market, making treads where I did not think I could, being bold and brave for putting it all out there, scoring the awesome gig of being photographer for the Pride Parade this June, and becoming Group Leader for the Seattle CTE Photography Meetup Group, and being proud of the work that I have accomplished! These things I must remind myself of. And I will! Because after all, you never know where you might end up! There are times in life, when you realize how truly precious the people in your life really are. And at this moment in time, some of those people include my friends Michael and Alissa S.
A few months ago, they suffered a tremendous loss. 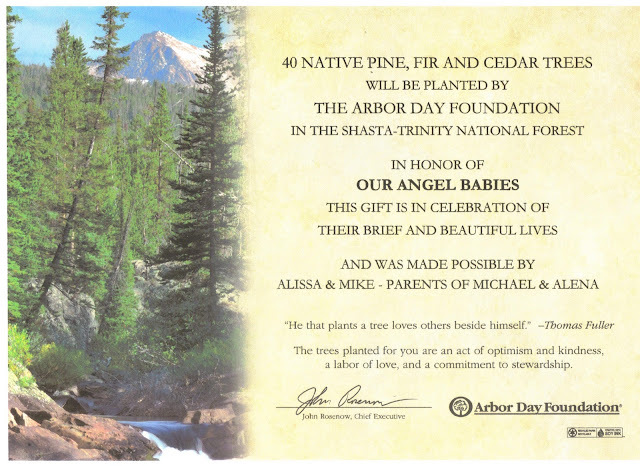 They have donated 40 trees to the Arbor Day Foundation, all to grow side-by-side each other. Each tree in remembrance for a families loss of a baby. And one of those trees is for us. I cannot begin to describe my feelings for such an amazing act of kindness. We will be forever grateful, and thankful, for their friendships. Below you will find a picture describing the 'Act' itself. Also, I am posting the link to her post about their donation. Please read it. It is heartfelt, and means so much. Thank you Mike and Alissa. We are so blessed, and fortunate, to have friends like you! LOVE & HUGS! But when real life calls, you have to answer! Without further adieu, I wish you ALL a Happy New Year! This year I am going to be a lot more business driven. I will be upgrading my equipment, leading my CTE Photography Meetup Group, shooting the Pride Parade in June, branding and making a logo, and trying my BEST to promote my photography! Which I have come to the conclusion as to what my niche is: Fine Art. While I quit enjoy portraiture, and I will never turn it down should the opportunity arise, I have thought very long and hard about this. Spent a lot of hours in contemplation, trying to decide what I enjoy the most. And for me, it is the fine art-side of things! The small details, the fun angles, the light, the imperfections...that is what I have come to enjoy the most! Now, I am not sure where any of this will take me. But I have a positive attitude. And the drive. So much so, that I have officially updated my Etsy shop! It is now up and running again! And for those of you who are quick-on-the-spot, I have a special deal for you! Please at least check it out, and pass it along to someone who you think might enjoy it! Thank you so much, in advance, for all of your support and patience while I solidify all of this, and make it happen!